NY1’s weekly segment “Your Weekend Starts Now” shows entertaining picks for great things to do this weekend all around the city. I’m a NY1 superfan… Thank you sooo much Frank C DiLella & the NY1 team! 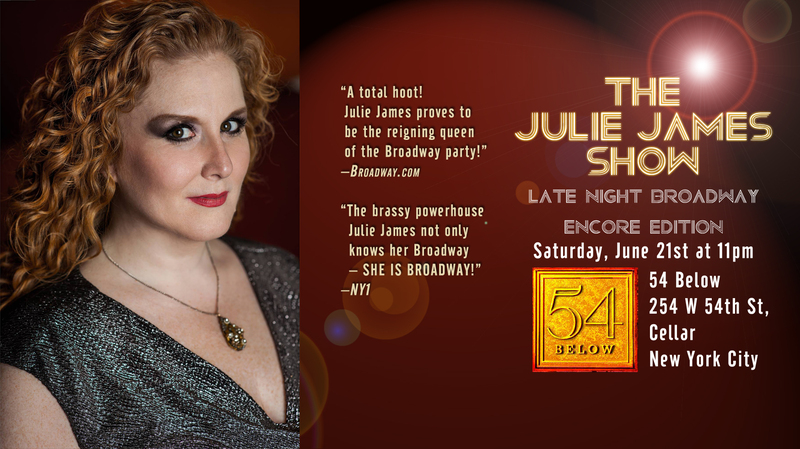 It’s The Julie James Show starring SiriusXM Radio Program Director & celebrity host Julie James (Broadway Names with Julie James). Julie spills the showbiz beans with snappy stories and original songs sure to dazzle any musical theatre lover. A fast-paced romp of a variety show with hilarious new songs, long-lost Broadway gems, and an impromptu visit with celebrities in the audience, the show is a delight for Broadway fans and pop-culture geeks alike. 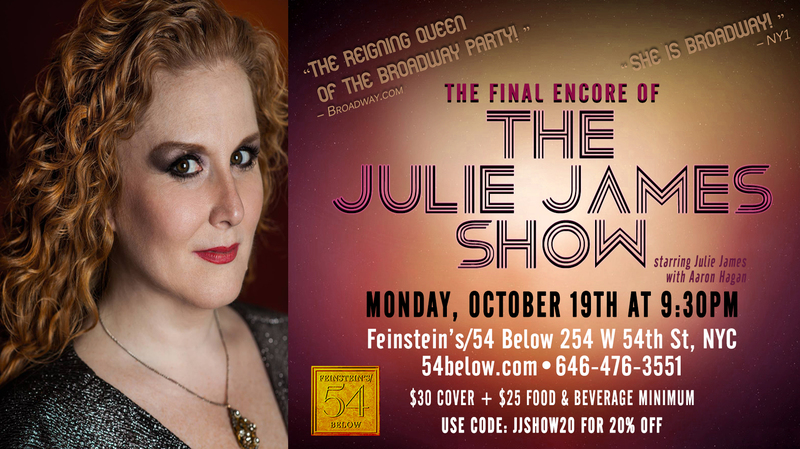 With new songs by long-time collaborator Aaron Hagan, Julie rolls back the radio curtain on what it takes to run the only 24/7 Broadway radio station in the world while juggling jingles for Howard Stern, working the Red Carpet at the Tonys, and recording chatfests with all her theatre heroes back at the SiriusXM studios. It’s a classic evening of favorite tunes with an unconventional style and surprising twists as Julie comes out to the world as the songstress, storyteller and comedienne she truly is. After all, it’s The Julie James Show!